(BGO) – Inspiring from the lovingness and sympathy with the miserable, for over 20 years, Nguyen Trong Thanh or Tuan Anh (born in 1980) in Da Mai ward, Bac Giang city who is Director of Sen Viet Tourism Joint Stock Company has travelled from the North to the South in numerous charity programmes. Not many people know that he is the foster father of 17 orphans. At his coffee shop namely “Ca phe Bao cap” (Subsidy Coffee) in Hung Vuong street, Hoang Van Phu ward (Bac Giang city), Thanh shared about his life, what he’s done and to be done for the community. Nguyen Tuan Anh and children at the provincial Center of General Social Protection. “It is hard to count how many journeys I have completed because I will go whenever I am free and miss them. I go to directly share with the miserable lives so as to feel that I am lucky and happy for the current good health and job. When necessary, I call for the donations and contributions from the friends and community to the charity events”. The first journey started from Mong Cai city (Quang Ninh province) and ended in Dat Mui (Ca Mau province) in 2006, targetting to raise the “ Heart for the Children” fund. At that time, the enthusiastic 26-year-old man roamed on Thong Nhat bicycle in 3 months. Daily, he travelled about 100 kilometres and asked for accommodation in the pagoda. Then, he called for a donation of 750 million VND (over 32,300 USD) from the philanthropists across the nation in such a meaningful journey. The whole amount was transferred to the fund of the Center Pediatrics Hospital to support the free heart surgery for impoverished children. Later on, the bicycle he used in the first journey is displayed at the coffee shop. Though many people think Thanh balmy, he still follows his heart. Whenever knowing any information about the abandoned children, he will run to the place to adopt them because he is afraid that they have to live miserably. Thus, the young man becomes the foster father of several children dozens of years ago. According to Thanh, 4 out of 21 children he adopted passed away because most of them suffer from diseases. To date, he has supported an amount of 3 million VND (130 USD) per month as the caring expense to each of the 17 children. The smallest kid was born in 2017 with the congenital heart disease so almost he has hospital checkup monthly. 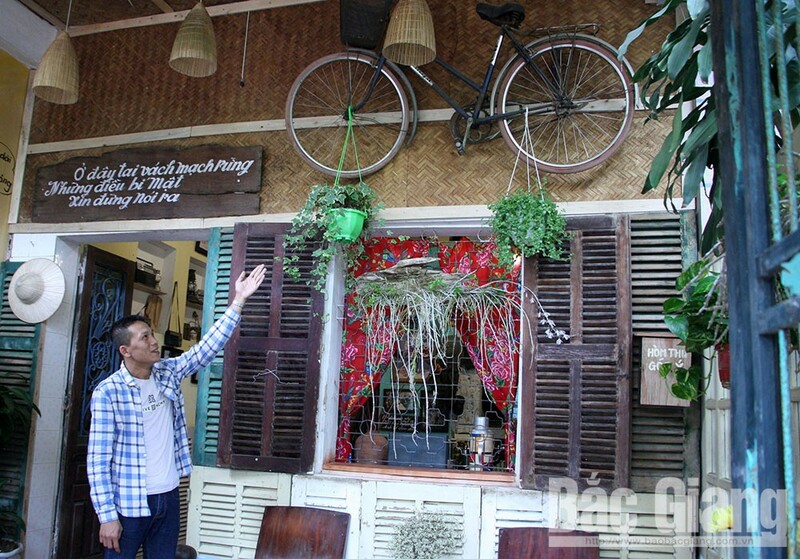 The Thong Nhat bicycle in his first Trans-Viet journey is displayed at Bao cap coffee shop. In spite of the far distance, Thanh always calls to ask after the health condition and study of the children as well as requesting the assistants to thoroughly care for them. Additionally, he not only becomes the foster father of 17 children for nearly dozens of years but also quietly travels to search for and bury the abandoned newborn infants. “Charity from heart” is the concept he bears in mind. 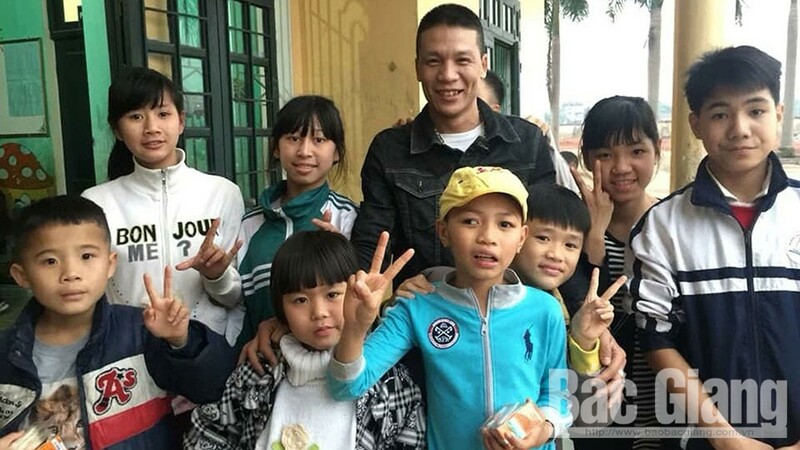 Among the hustle and bustle life, though Tuan Anh has to care for the small family, work and many other issues, the charity flame seems never end for him. Passionately he shared about the future intention: “Now, I am doing business in the tourism sector and having several cars. In previous years, on the Lunar New Year occasion, I used to organize 2 humanitarian journeys to take the poor workers and students home to enjoy the cosy Tet with their families. I am planning to link with a communication agency to build and operate an event with the content like the programme of “The seventh wish” of Vietnam Television. The journeys to everywhere will find out and bring meaningful gifts to help realize the small wish of impoverished children with deadly disease”. People in need can take up to VND15,000 from the sidewalk box so they can grab a simple meal.